The last few months have seen a wealth of stories about visions to connect the world. Facebook, Google, large international organisations, states, and even Bono, dream of a world in the near future in which we are all hooked into the network. 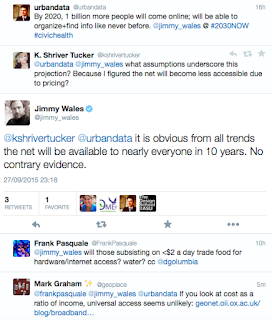 In the midst of all of this, I found a comment made by Jimmy Wales particularly interesting. This hope of the inevitability of ubiquitous connectivity is one that is widely reproduced by other policy makers, technologists, and thought leaders. However, it is a hope that needs to be unpacked. There are two ways in which this hypothetical future in which everyone is connected could be brought into being. The first one of these futures is a world where everyone can afford access. 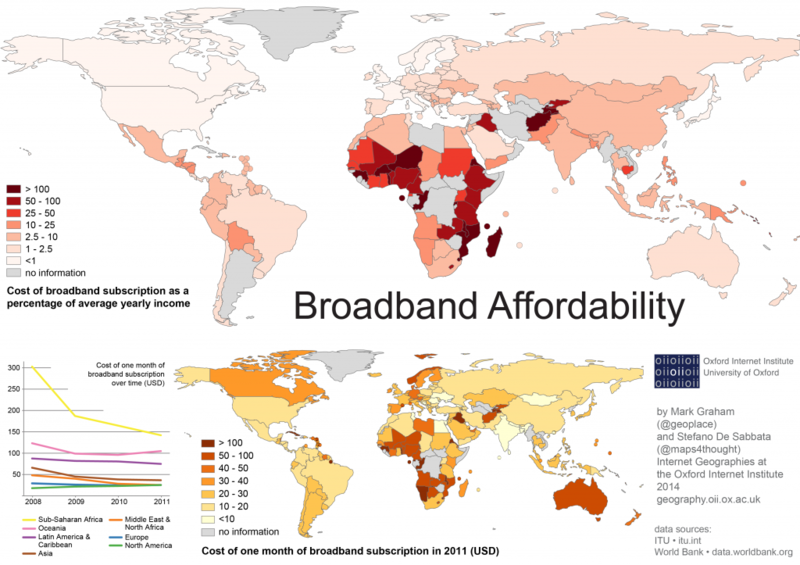 But as we demonstrated in our research about the global affordability of broadband, dropping prices is unlikely to be a sufficient strategy. There will remain billions of people making a subsistence living, for whom even extremely cheap access is unaffordable. The average Mozambican worker, for instance, would need over one and a half year’s salary to pay for one year’s worth of broadband access. 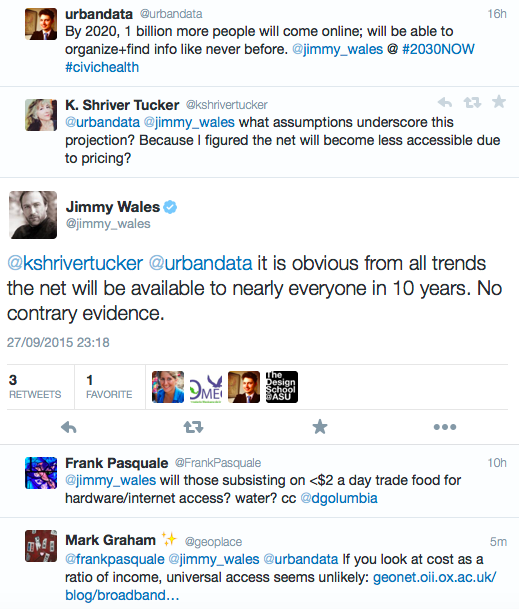 In other words, Jimmy Wales’ prediction won’t happen simply by lowering prices. 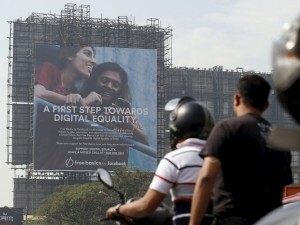 The second future is the one promoted by the likes of Mark Zuckerberg. One in which large corporations sponsor free (and importantly, limited) access for billions of people in return for attention monopolies. This brings a very different sort of Internet into being: one in which winners and losers, centres and peripheries, are already pre-selected by those who control your access. What this all ultimately means is that it seems unlikely that any sort of open Web will be ubiquitously available in the near future. Simply lowering the cost of access will continue to leave out the very poorest; and handing over the project of connecting the disconnected to large technology firms will leave us with a very different (and far less desirable) sort of Internet. Graham, M., Andersen, C., and Mann, L. 2015 Geographies of Connectivity in East Africa: Trains, Telecommunications, and Technological Teleologies. Transactions of the Institute of British Geographers 40(3) 334-349. (pre-publication version here). Graham, M. 2015. Contradictory Connectivity: Spatial Imaginaries and Techno-Mediated Positionalities in Kenya’s Outsourcing Sector Environment and Planning A 47(4) 867-883.